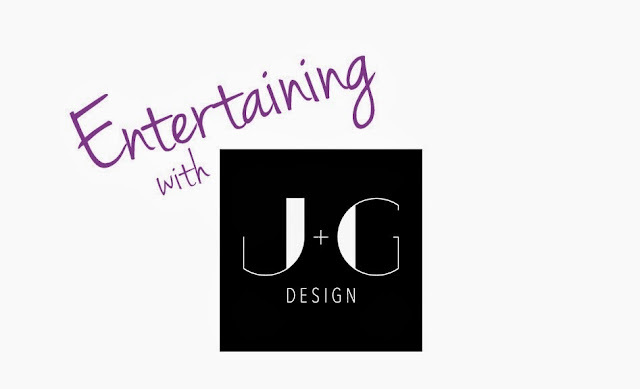 Jennifer Beek and Georgie Hambright of J+G Design are back with some design ideas for your Christmas party table! To really get us in the spirit of the holidays, I've invited the ladies of J+G Design back to share some design and decorating ideas for Christmas. They've come up with a fabulous look for your party table that I think you're really going to love. I know the vibrant colors they've chosen have put me in the mood to start celebrating! Merry Christmas from J+G Design! We've put together a festive, preppy look for your Christmas party dinner table. 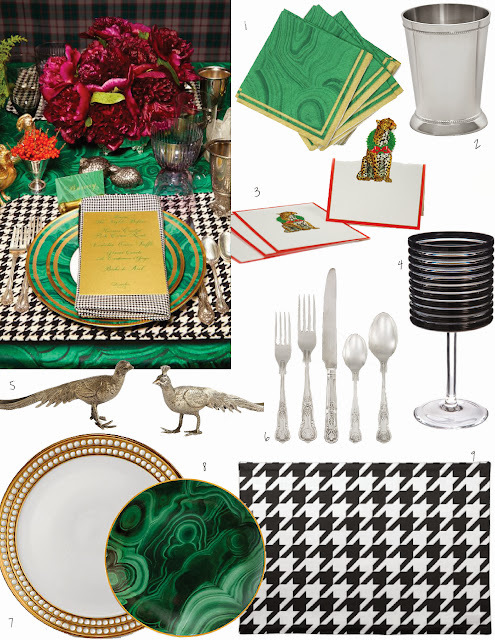 We like how this tablescape mixes patterns, like houndstooth and plaid. Incorporating some decorative objects, such as the silver birds, adds a whimsical touch. Multiple smaller arrangements in silver vases will add dimension to the setting. With the main colors being black, white, and malachite green, we suggest using flowers to add a pop of color. Aren't those fuchsia peonies gorgeous? This tablescape is dressed-up but also very warm and cozy feeling. It's the perfect setting for some mulled wine and Michelle's Roasted Brussels Sprouts with Bacon.